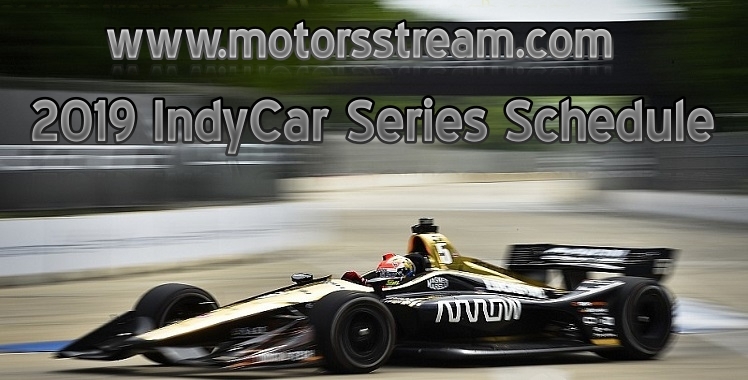 The 2019 IndyCar Series Schedule is announced by the IndyCar Racing League, beginning from 10TH March 2019. The Japanese company “NTT” is the sponsor of the IndyCar Series for the upcoming season. Verizon was the main sponsor of IndyCar Series from 2014 to 2018. NTT IndyCar Series is the open-wheel racing which happens mostly in North America. Indycar series is the first level of INDYCAR racing. Other 3 series are Indy Lights, Indy Pro 2000 and USF 2000. The IndyCar series premier event is Indianapolis 500 which will start on 26 May 2019. Firestone Grand Prix of St. Petersburg will be the 1st race as per 2019 IndyCar Series Schedule on March 20th. But the hype of the Races is for the Indianapolis 500 which will at Indianapolis Motor Speedway at 12:00 PM. The American racer Conor Daly will join the Andretti Autosport for Indianapolis 500. Phoenix race at ISM Raceway will not be enlightening for this season of IndyCar. Road America circuit signed an extension of 3 years with IndyCar, till 2021 season. Laguna Seca the circuit is been contracted for 3 years to host the final of IndyCar Series from 2019 to onwards. The Indy Grand Prix of Sonoma is ended from this as Laguna Seca is replaced by it for 3 years, it is the 1st time since 2004 Champ Car. This season the Iowa Corn 300 will take place on Saturday night race. Many other changes have been done for the upcoming IndyCar Series.